HE the Minister of Transport and Communications Jassim bin Saif al-Sulaiti (centre) inaugurates the 8th edition of Qatar Motor Show at DECC. PICTURE: Jayan Orma. As many as 14 local and regional ‘first-time’ reveals, including the Genesis fuel cell concept Sports Utility Vehicle, highlighted the opening of Qatar Motor Show (QMS) 2018 on Wednesday at the Doha Exhibition and Convention Centre (DECC). The five-day event, under the patronage of HE the Prime Minister and Interior Minister Sheikh Abdullah bin Nasser bin Khalifa al-Thani, is organised by Qatar Tourism Authority (QTA) in co-operation with Fira Qatar on a 17,896sqm space. HE the Minister of Transport and Communication Jassim bin Saif al-Sulaiti inaugurated QMS 2018, themed ‘Drive to Innovation,’ which demonstrates Qatar’s commitment to introducing the latest technology from the automotive industry. “This (8th) edition comes as Qatar intensifies its efforts to enhance innovation and safety in the field of transportation. New innovations in the use of electric cars are in line with our commitment to promote clean and sustainable energy,” HE al-Sulaiti said in a press statement. 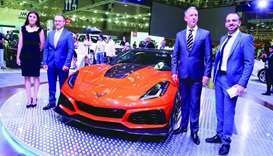 The Qatar Motor Show 2018 hosts 37 exhibitors and 20 top brands and companies: BMW, Mercedes-Benz, Toyota, Lexus, Nissan, Infinity, Chevrolet, Maxus, MG, Mitsubishi Motors, Harley Davidson, Jaguar, Land Rover, Genesis, ZX Auto, Borgward, Universal Motors (Lotus), Crystal Car, Auto Stacker, Kracher, Breu, Four Stroke, Car Care Centre, Al Jaber Car Care Centre, Pegasus, My Tyre, and Titanium (Smart Line). The show’s sponsors and partners are: Mawater Centre, Qatar Insurance Company, Mowasalat, W Doha Hotel, and Joué Club. Aimed at enriching the show’s content and cater to a variety of tastes, Mawater Centre also organised a special exhibition of classical cars under the sponsorship of QTA, exhibiting more than 65 classical and modified cars, 4-wheel drive cars, classical motorbikes, and government cars. Top international car brands are showcasing over 165 models of classic, sports, mid-range, and luxury cars while 37 booths representing manufacturing and local car accessory brands, and partners are displaying their products and activities at the fair. 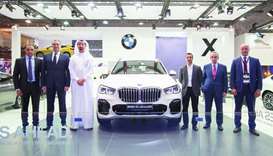 Regional debuts include Alfardan Group’s all-new BMW X5 2019 model and Nasser bin Khaled (NBK) Group’s Mercedes CLS 53 AMG and GLE 450, in addition to its local launches – the Mercedes S65 Maybach 2019, D90 Maxus 2019 and the MG6 2019 from MG.
Abdullah Abdulghani Group launched the all new Toyota Avalon while Lexus showed its collection of hybrid cars for the first time in the country. Ecuador's ambassador Ivonne A-Baki strikes a pose beside a Jaguar. The 2019 Lexus ES luxury sedan on display. Local reveals also included Saleh AlHamad AlMana Group’s all new Infinity QX50, Jaidah Group’s Chevrolet’s Corvette ZR1, Taleb Group’s ZX Auto's Terralord pickup 2019, and Borgward’s BX7 TS and BXi7. Universal Motors is also displaying the Lotus Car model EVORA GT430, which is one of only 60 hand-manufactured cars globally. Giving a sneak peak of an upcoming design, Genesis unveiled its concept of the first SUV, which will be launched under the model name of GV80. QMS 2018 also features special stands for QTA, in co-operation with the Ministry of Interior, Traffic Department, Mowasalat, Qatar Insurance Company and Arab Motors. “This year's edition focuses on new offerings for the public, car enthusiasts, exhibitors, and the car industry in Qatar and the region in general. 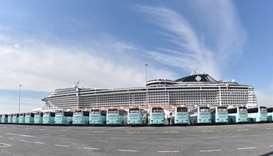 QTA invests in developing the business events sector as part of its strategy to grow the tourism sector as a whole,” QTA’s exhibitions director Ahmed al-Obaidli said. 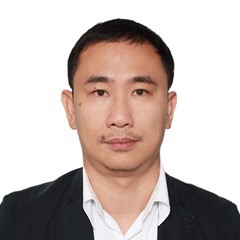 “We work with various partners from public and private sectors to attract the largest and most important international conferences and exhibitions as well as to promote local events to attract more visitors and, consequently, increase tourism spending and support the hospitality, transport, and aviation sectors,” he added. Over the past seven years, QTA noted that the show evolved to become one of the leading motor shows in the region, strengthening its position as a platform for interaction between international brands and their local agents on one hand and consumers and potential customers in Qatar and the region on the other. Fira Qatar general manager Ahmad al-Mulla said that business events sector is witnessing large growth in Qatar and QMS has become one of the most prominent and highly popular events due to its content and the experience it creates for visitors.